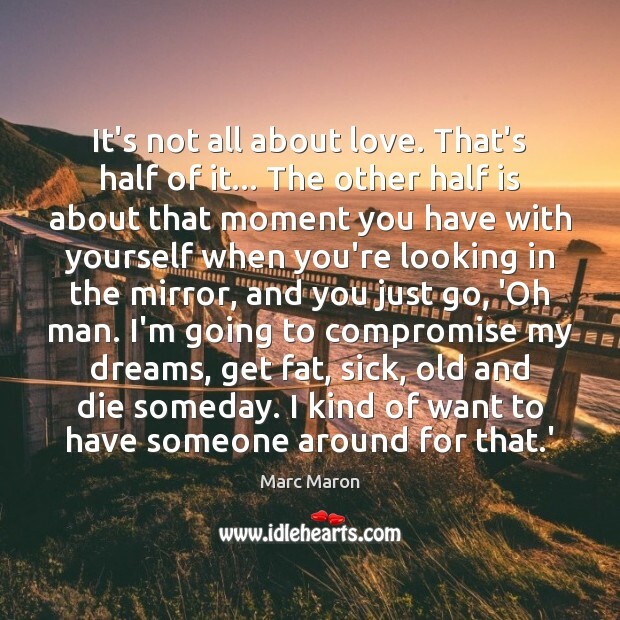 Quotations about All about love. Quotes to stimulate mind and drive action! Use the words and quote images to feed your brain inspiring things daily! The good thing is in my case I'm all about love and communications, so there was no hard feelings, it was like ok we reached the end of this season and I wish you well and it's time to move on. 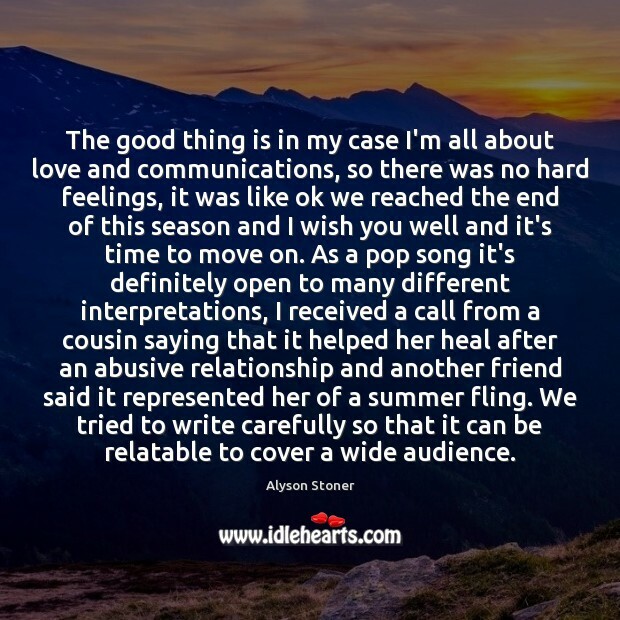 As a pop song it's definitely open to many different interpretations, I received a call from a cousin saying that it helped her heal after an abusive relationship and another friend said it represented her of a summer fling. We tried to write carefully so that it can be relatable to cover a wide audience. 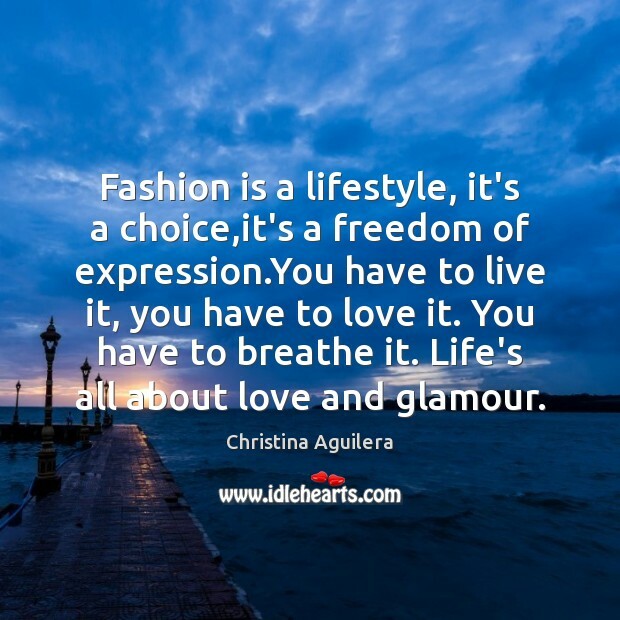 Fashion is a lifestyle, it's a choice,it's a freedom of expression.You have to live it, you have to love it. You have to breathe it. Life's all about love and glamour. 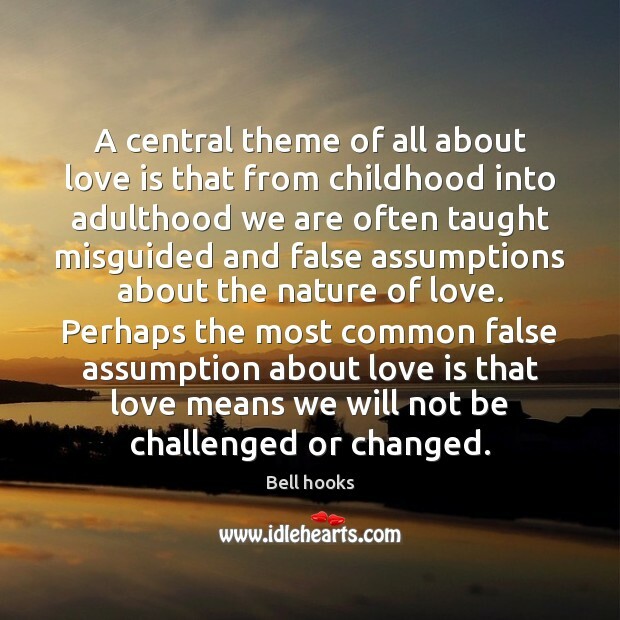 A central theme of all about love is that from childhood into adulthood we are often taught misguided and false assumptions about the nature of love. Perhaps the most common false assumption about love is that love means we will not be challenged or changed. 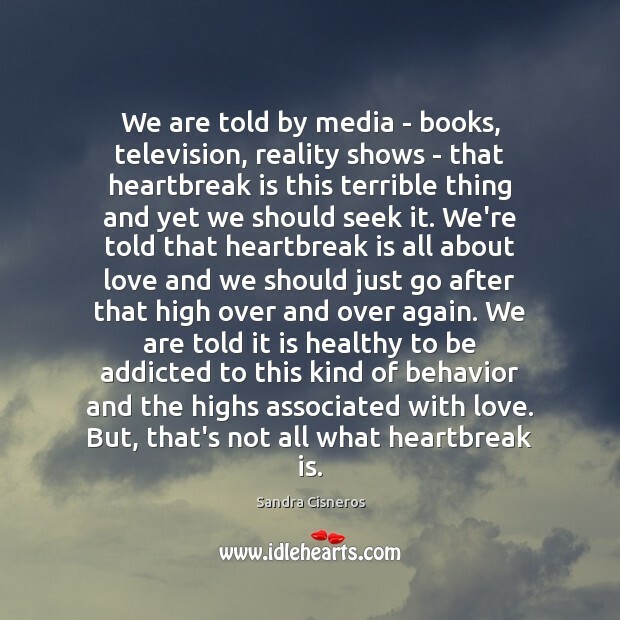 We are told by media - books, television, reality shows - that heartbreak is this terrible thing and yet we should seek it. We're told that heartbreak is all about love and we should just go after that high over and over again. We are told it is healthy to be addicted to this kind of behavior and the highs associated with love. But, that's not all what heartbreak is. It's all about love. 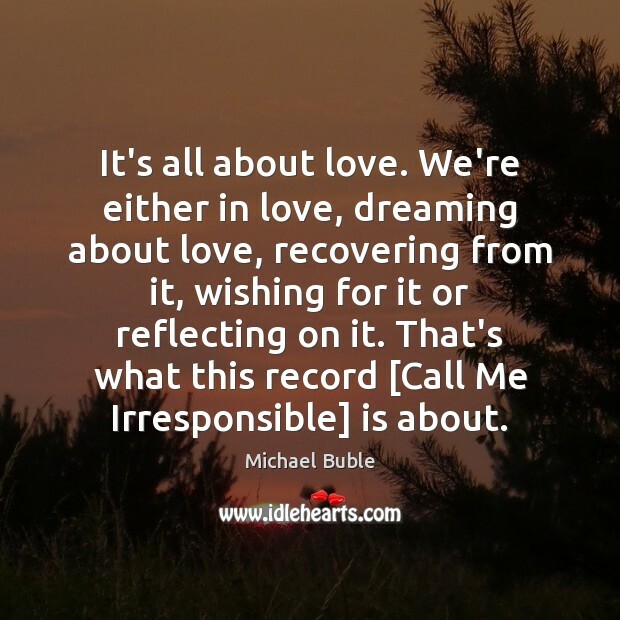 We're either in love, dreaming about love, recovering from it, wishing for it or reflecting on it. That's what this record [Call Me Irresponsible] is about. 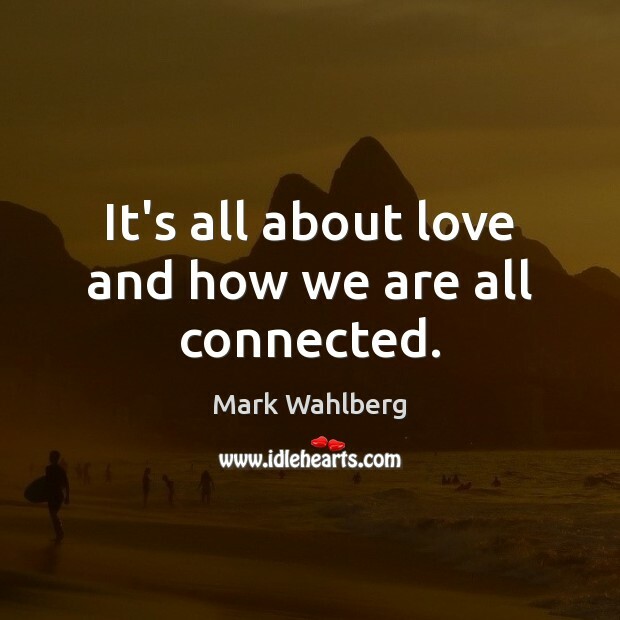 It's all about love and how we are all connected. 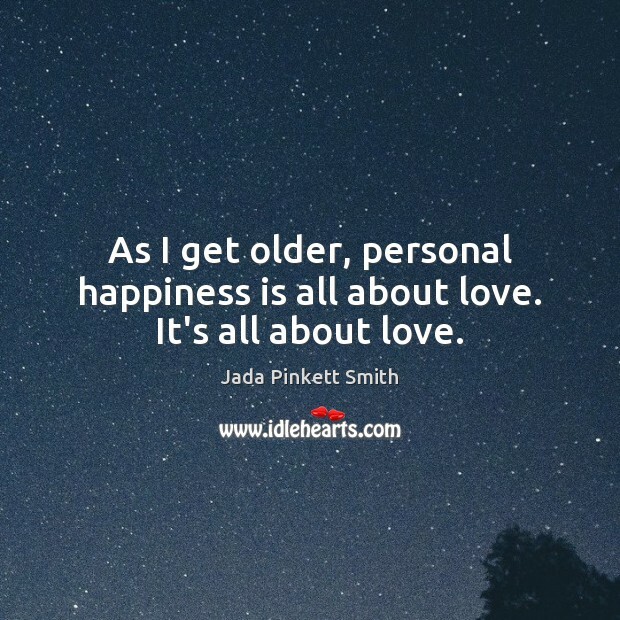 As I get older, personal happiness is all about love. It's all about love. 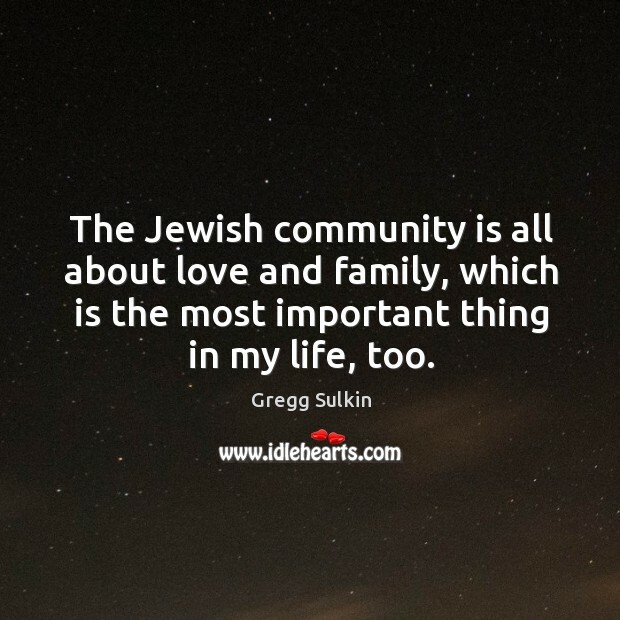 It is all about love. It is all about caring. We are all in this game together, we are all connected. 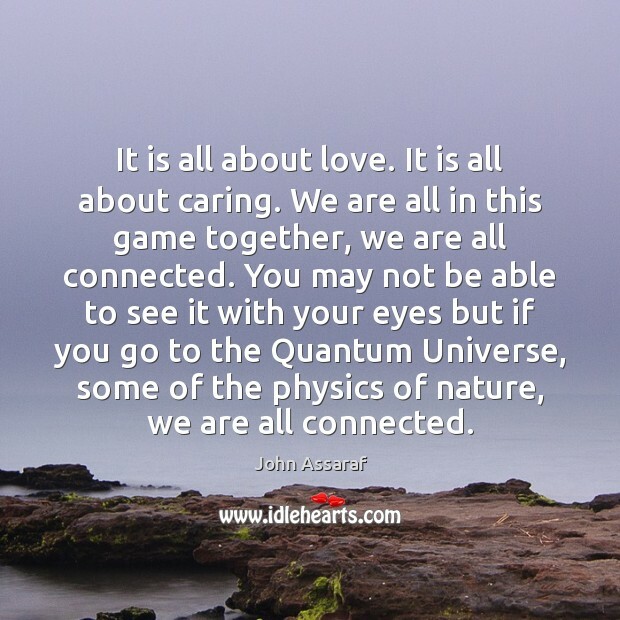 You may not be able to see it with your eyes but if you go to the Quantum Universe, some of the physics of nature, we are all connected. 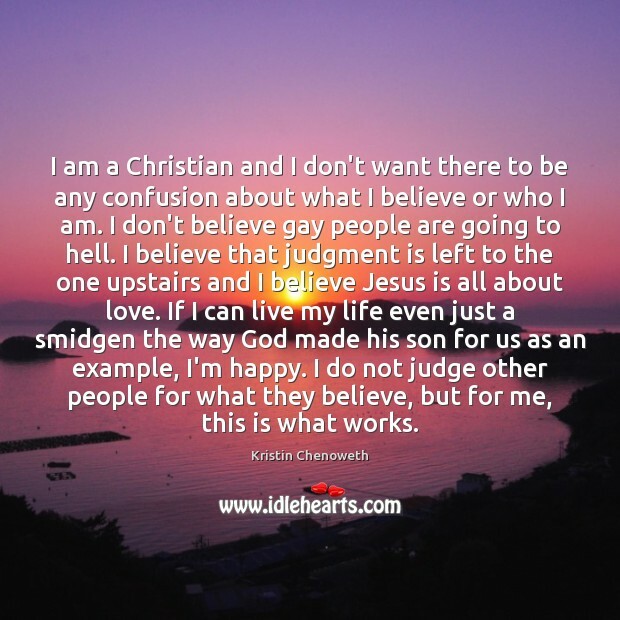 I am a Christian and I don't want there to be any confusion about what I believe or who I am. I don't believe gay people are going to hell. I believe that judgment is left to the one upstairs and I believe Jesus is all about love. If I can live my life even just a smidgen the way God made his son for us as an example, I'm happy. I do not judge other people for what they believe, but for me, this is what works. 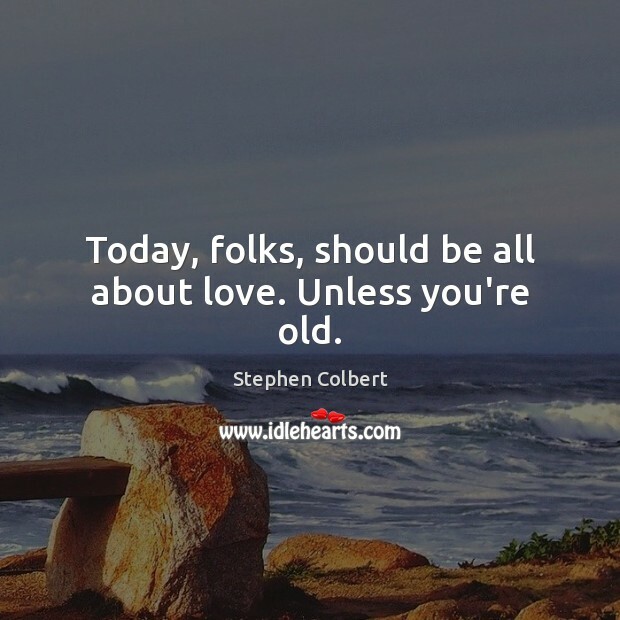 Today, folks, should be all about love. Unless you're old. 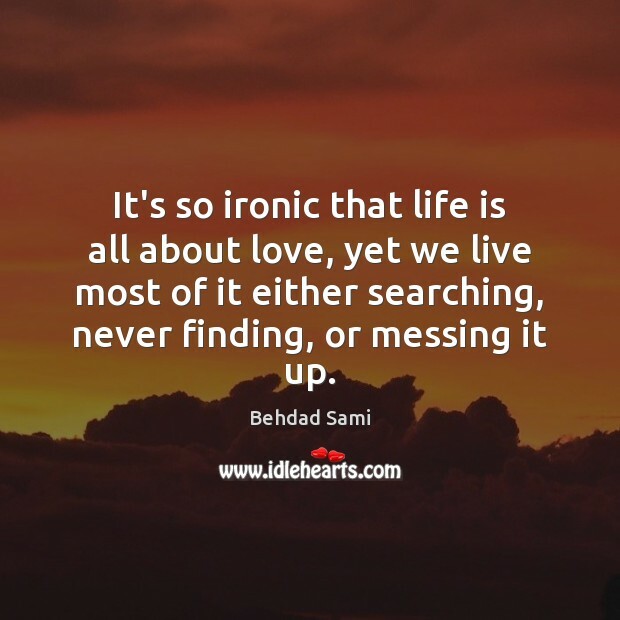 It's so ironic that life is all about love, yet we live most of it either searching, never finding, or messing it up. When I was a kid I would write songs, little plays, and poetry in school. 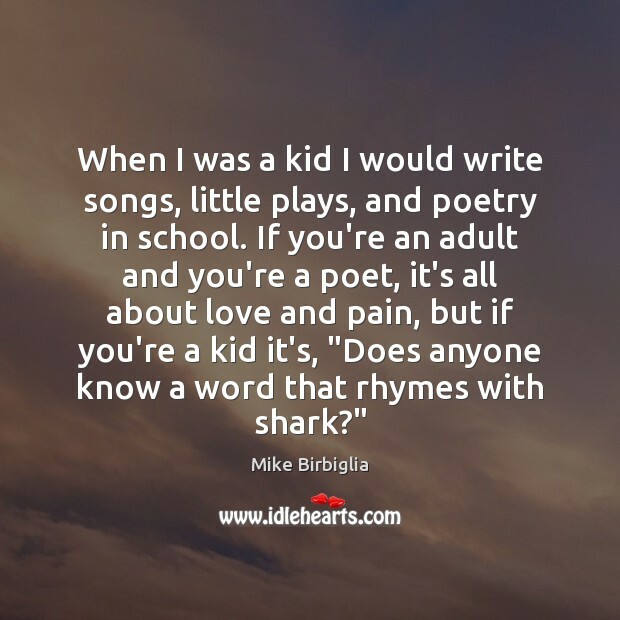 If you're an adult and you're a poet, it's all about love and pain, but if you're a kid it's, "Does anyone know a word that rhymes with shark?" 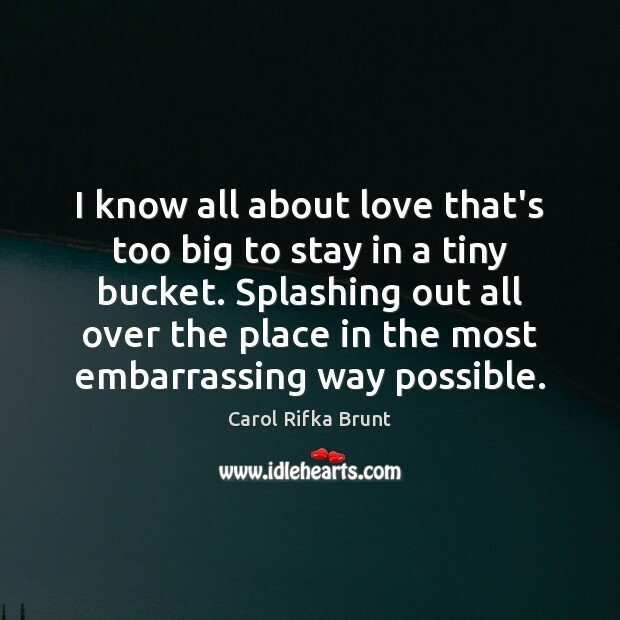 I know all about love that's too big to stay in a tiny bucket. Splashing out all over the place in the most embarrassing way possible.